6 terrains de golf en 30 minutes, 3 minutes a la plage, vue sur la mer, picine, jardin et beaucoup d'intimite. The property is spectacular in design, location, layout, landscaping and atmosphere. The pictures on the website do do it justice. 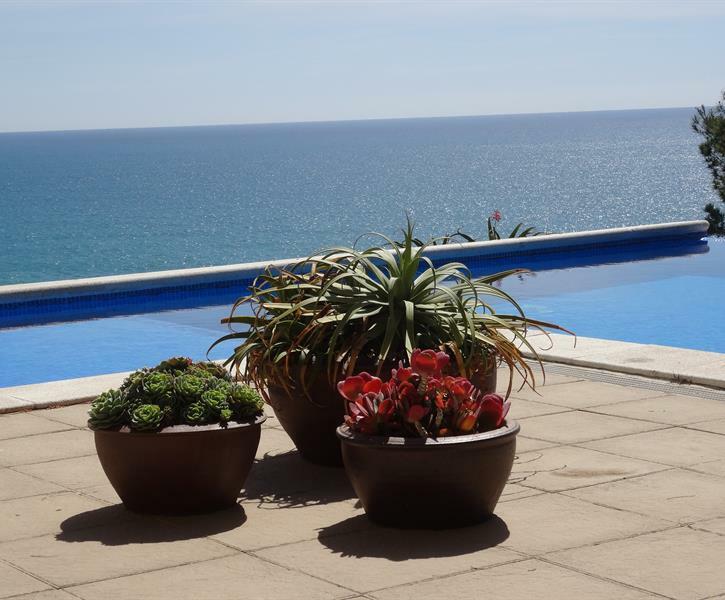 All of the bedrooms and outdoor areas have expansive views of the Med. The outdoor furniture is cheap crap. One chair fell apart with someone sitting on it. The beds, inside furniture, and linens are cheap and don't belong in such a beautiful property. Satellite TV is a joke; small flat screen with hotel-like news and Euro-Sports in a room that has one seat. Nice Kitchen. Automatic front gate was iffy and needed a push sometimes. Need to back out through narrow gate with inches of clearance on each side of an SUV. Very nice agent/rep showed up too much. Gardeners and pool people just walked in; someone (agent) opened the front gate. Insurance adjuster and repair people showed up with agent. We spent the a wonderfull week in Taragona. The villa was so beautifull and the view was amazing :-) We will return for sure here on our next vacation to Spain.